Today, I crushed juniper berries, shredded three huge cabbages, tossed the shreds with salt and juniper berries, squeezed the water out of the cabbage, dumped bowls of mixture into the fermenting crock and pounded until more water appeared. Then, I covered the mixture with a cabbage leaf and pressed weights onto the leaf. Lid on, I poured boiled water around the lid to create a seal. Three to six weeks after the crushing, squeezing, pounding, and darkness, savory sauerkraut will reward my tastebuds. 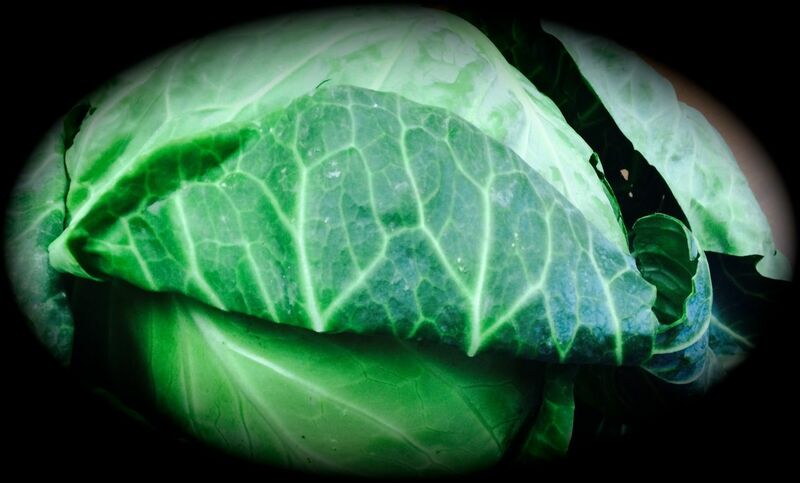 As I prepared the cabbage to become Vitamin C-rich sauerkraut, I was reminded of how fibromyalgia crushed my spirit and twisted my nerves and muscles into knots of pain. I was reminded of Job. God healed Job when he turned his eyes off his sickness and loss and onto the greatness of God. God healed me when I gave up and told the Lord that all I wanted was more of Him. At that point, the Holy Spirit empowered me to present my body to the Lord as a living sacrifice. Father in heaven, You are all we need. Heal our lives, our bodies, and our spirits. Father, pour out Your Holy Spirit upon us. Enable us to see You as You are. Enable us to present our bodies as living and holy sacrifices to You. We love You, Lord and bask in the light of Your glory. What will be the fruit of your crushing and pounding? ← Are you expecting healing from God?